Did you see the article about us in the South Manchester Advertiser? 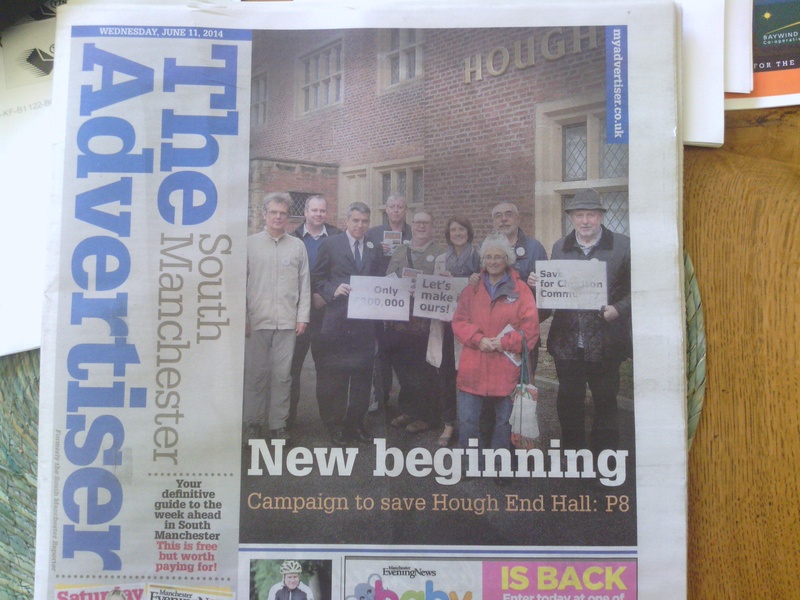 As you might have seen, we made the front page of the South Manchester Advertiser of June 11th. The photograph includes a number of our supporters, including some local councillors. Apologies to those who weren’t included in the photos chosen to illustrate the article. Thanks to everyone for their continuing support! 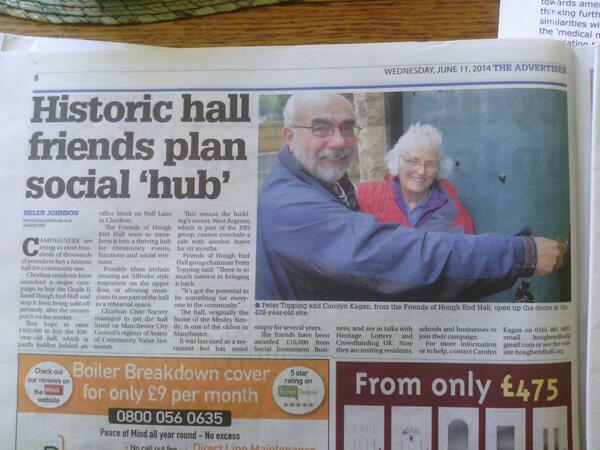 The article, featuring Peter Topping and Carolyn Kagan cheekily “unlocking” the Hall. You can also see the brief report of our community consultation, HERE. This entry was posted in News and tagged community consultation, councillors, Helen Johnson, publicity, South Manchester Advertiser by houghendhall. Bookmark the permalink.